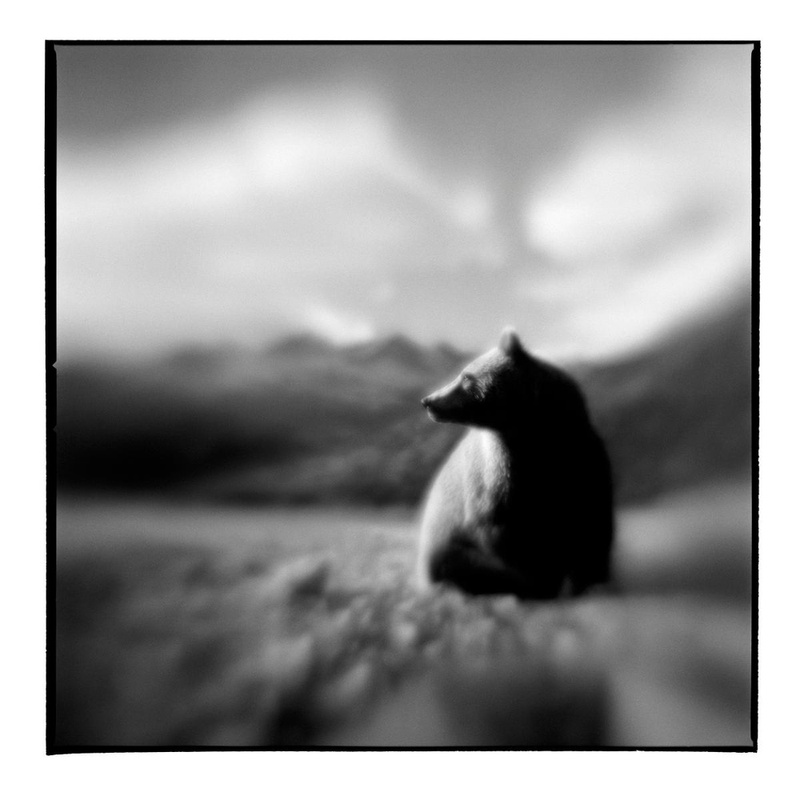 USA, Alaska, Katmai National Park, Blurred black and white image of young adult female Brown (Grizzly) Bear in early Fall. For much of my adult life, I have been lucky enough to get paid doing the things I love most. My work as a itinerant travel and wildlife photographer has sent me around the world and across all seven continents. Over the last two decades, I have had ample opportunity to appreciate the absurdities of life on the road, having once spent 27 memorable hours during my first trip to Kenya digging a bogged safari truck out using only a sauce pan. 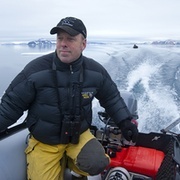 In addition to my work in Africa, I have traveled extensively in Alaska, Australia, Antarctica and Asia. I try to see one new thing every day. The world is an enormously varied, infuriating and beautiful place, and I'm regularly delighted by a job that lets me see and visit so much of it. I also enjoy the physical and technical challenges of getting to some of the wilderness places I've visited. I like traveling solo, and if that means lugging an inflatable Zodiac boat and 250 pounds of camping gear halfway around the planet, all the better. There's something deeply satisfying about learning an entirely new set of skills, whether it's scuba diving, boat driving or African safari guiding, and putting them to work to produce new images. Nearly all of my work is bound for the stock archives at Corbis and Getty Images. From there, the work is published all over the world. I've appeared in National Geographic and probably most of the other magazines on the newsstand display shelf at one point or another, though I rarely get to see them. My pictures have been used for everything from Mexican condom ads to a Swedish watch billboard. I was driving through the capitol of Mozambique and saw one of my lion shots on a DHL billboard and had to pull over in traffic to take a snapshot. I just returned from Iceland where one of my humpback whale shots (from Hawaii) is on a whale watching tour brochure all over Reykjavik. What was your scariest shooting moment? I've done so many stupid things over my career that it's hard to keep track. During my brief foray into international news coverage, I got shot at (and missed) in Port-au-Prince, Haiti during election violence there. I was once woken from a sound sleep in Kenya by a pride of lions pawing at my tent, and I have spent 27 memorable hours trying to dig my safari truck out of a swamp using only a sauce pan. On my last trip to Greenland, I slipped while photographing spawning shoals of capelin from some shore rocks, and found myself chest deep in ice water. I shredded my fingers trying to claw my way back out of the ocean before I froze. The time I got my boat stuck in the ice in front of a glacier was good for a laugh, especially when I started hoping between ice floes trying to drag the thing out by hand. Getting chased around in the water and head-butted by whales in Patagonia was diverting, too. There are a lot of stories I don't tell my mom.